With the new sites report, you’ll no longer need to manually create a new URL channel to track each new domain or subdomain where you’ve placed your ads. This will help ensure that you have more detailed data about your ad performance from the get-go, without any additional effort required on your part. 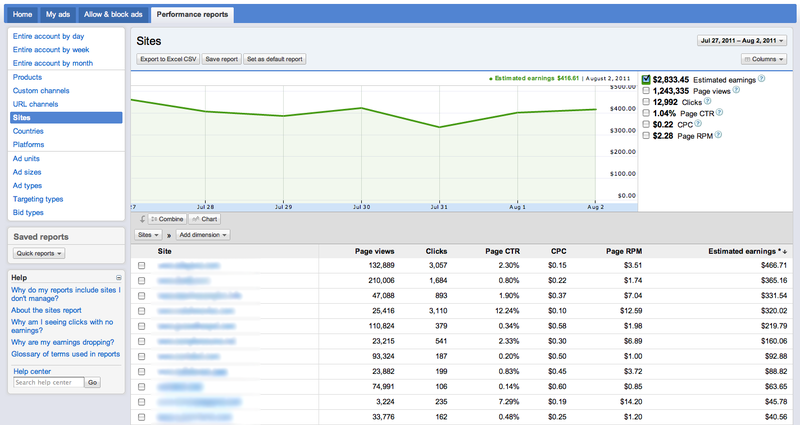 The sites report tracks performance data for your content, mobile content, feeds and domains data. You’ll also be able to use the multi-dimension reporting feature to analyze your site's performance by ad type, targeting type, platform, and more. Please note that your sites report will only contain historical data beginning in late June 2011. In addition, there are a few limitations to this report for publishers with an extensive number of domains -- more information is available in our Help Center. 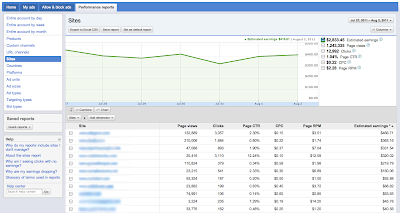 To get started with the new sites report, sign in to the new AdSense interface and navigate to the Performance reports tab. Choose Sites in the left navigation. We hope this new report helps you view your data more quickly and easily -- feel free to share your comments and thoughts below.